to various theatres of conflict. Nowadays, Luton Airport is the gateway for all types of traveller and the town is well known for its famous football team. Luton owes its existence to the river Lea, which is now a small stream but once powered seven mills. Archaeological discoveries have revealed that people have settled in the area for thousands of years. Julius Caesar may have passed through in A.D. 54 and William the Conqueror came this way one thousand years later. The parish church, still standing near Park Square, was built in medieval times. The town has since acquired a reputation as a solid working class place, the sort of community where ‘almost everyone earns his living’. 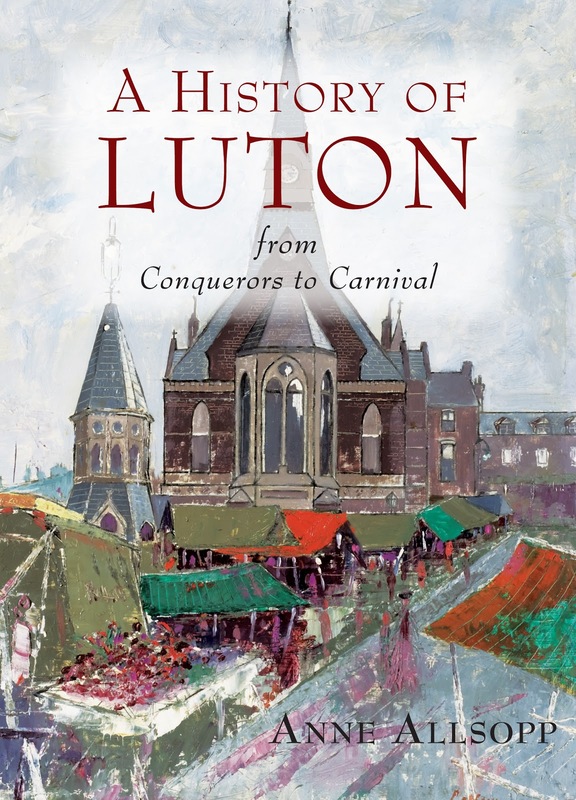 This independent spirit has also had its downside, particularly on the occasion when disillusioned citizens burned down the town hall, and this well-informed narrative manages to capture Luton’s distinctive character. Luton has always provided visitors with a warm welcome and many have stayed and made the town their home. Local industry offered employment opportunities in the early 20th century and many had cause to be grateful for its relative prosperity during the Great Depression. Following the Second World War, immigrants from the Indian subcontinent and from the West Indies brought with them colourful new cultures that are celebrated in the annual Carnival. 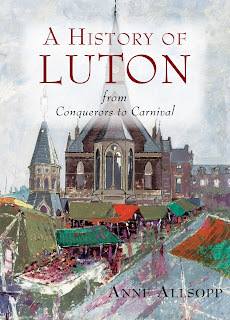 This fascinating and illustrated account of Luton’s past will inform and delight anyone who lives in the town and inspire those who grew up there." The author, Anne Allsopp, was born in Luton and attended Luton High School for Girls. She taught in local schools before gaining an MA and PhD at the London Institute of Education. She has published books on Luton High School and the Technical School, another for BHRS on the education and employment of girls in the town. Her particular interest is the lives of ordinary people, and her latest research has helped her appreciate Luton’s unique character and reputation for being quite unlike anywhere else. A review will follow. Meanwhile the book can be ordered through bookshops or from Phillimore's online bookshop.